One of my all-time favorite meals is Chicken Alfredo. It’s usually the dish I order when we go to an Italian restaurant. However, I rarely make it at home. 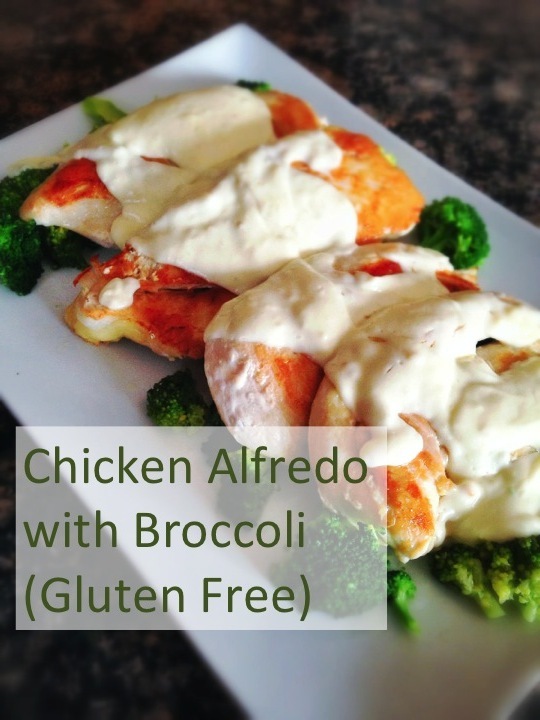 So last week as I was trying to think of gluten-free meals for our dinner menu, I thought I’d make an Alfredo sauce to spoon over chicken and broccoli. I didn’t want the pasta (even if it was gluten free) because it would make the meal too heavy. Surprisingly, this meal took little time to make. Not surprisingly it was a crowd pleaser. My husband asked for it to be put on a regular rotation…and I have to agree! Today I ate one of the leftover pieces of chicken. Since I had put all the leftover broccoli in with my husband’s lunch the other day, I needed a veggie to go with it. So I quickly steamed some green beans, which also compliment this dish quite well. And unlike the Chicken Alfredo you take home from a restaurant, this Alfredo did not end up looking like a pool of grease when reheated. It was just as good the second time as it was the first. I am so looking forward to making this meal again sometime soon! Heat oil in a large skillet. Sprinkle chicken with garlic salt. Place chicken in skillet and cook on each side for 4-5 minutes, or until no longer pink in the middle. Meanwhile, in another skillet melt butter. Whisk in the cornstarch to make a roux. Slowly whisk in whipping cream. Cook over medium heat, stirring often, until thickened. Add in cheese, garlic and salt. Steam broccoli according to package cooking instructions. Place broccoli and chicken onto a platter. Spoon Alfredo mixture over the top. Serve immediately. This entry was posted in Recipes and tagged chicken, dinner, gluten free. Bookmark the permalink. Mmm. This sounds and looks delicious! Chicken is my favorite meat. And it’s so versatile! This looks so delicious! Chicken alfredo is my favorite Italian meal too! So glad you shared this at the Frugal Crafty Home Blog Hop! Pinning this to the blog hop board! Oh such a yummy recipe. The perfect way to make chicken extra special. 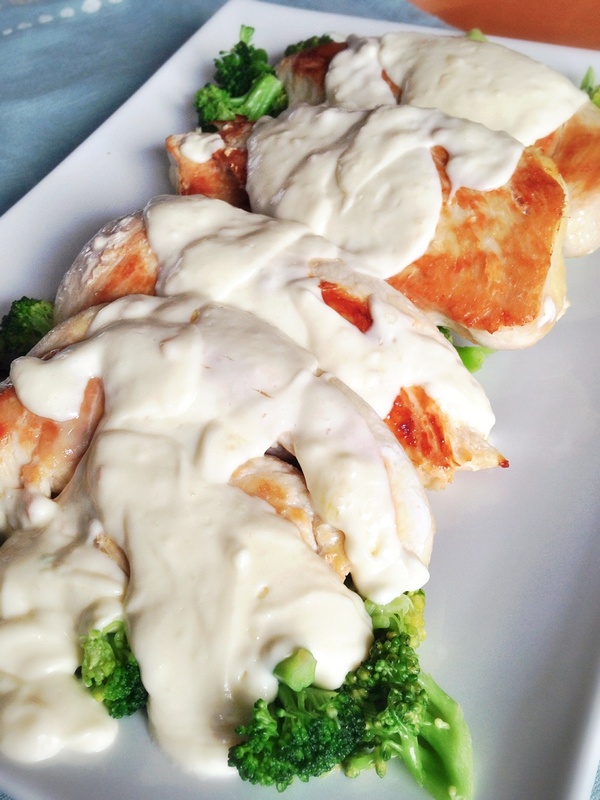 Can’t go wrong with chicken and broccoli…thanks for sharing it on the Thursday Blog hop! Looks and sounds delicious! I will be trying this and also passing the recipe on to a gluten free friend. Thanks for sharing with SYC. This looks delicious! I’m always looking for new recipes. Just pinned it!